Drawing from her life as a Zen Buddhist priest whose ancestors labored as slaves in Louisiana, Zenju Earthlyn Manuel explores the tension between oppression—based on race, religion, ability, class, orientation, gender, and other “ghosts of slavery”—and finding home within our own hearts. Through intimate personal stories and deep reflection, Manuel helps us see the moment when what has gone unacknowledged surfaces is “the time we have been practicing for,” the epiphany when we can investigate the true source what has been troubling us. 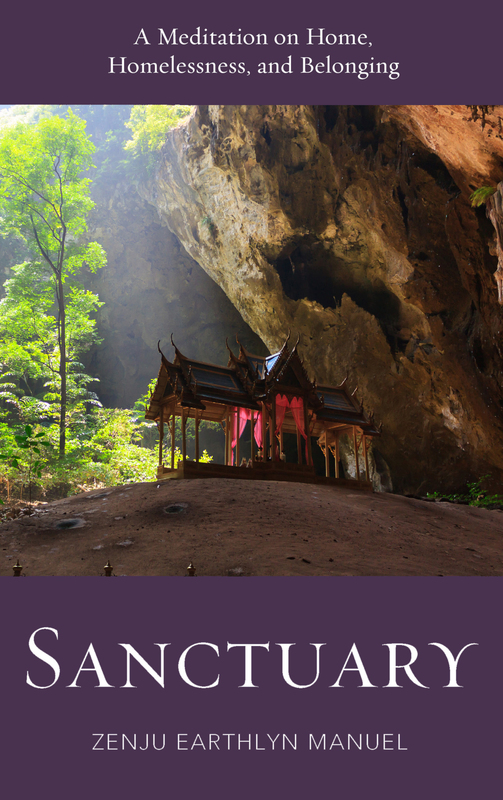 This insightful book about home and homelessness, sanctuary and refuge offers inspiration, encouragement, and a clear-eyed view of cultivating a spiritual path in challenging times. “These remarkable essays by Rev. Zenju Earthlyn Manuel make us aware, in important and different ways, of the intimate relationship between home and sanctuary, and the struggle between belonging and homelessness that paradoxically defines the conditions for many who in our contemporary world find themselves living under conditions of oppression, alienation and dehumanization.